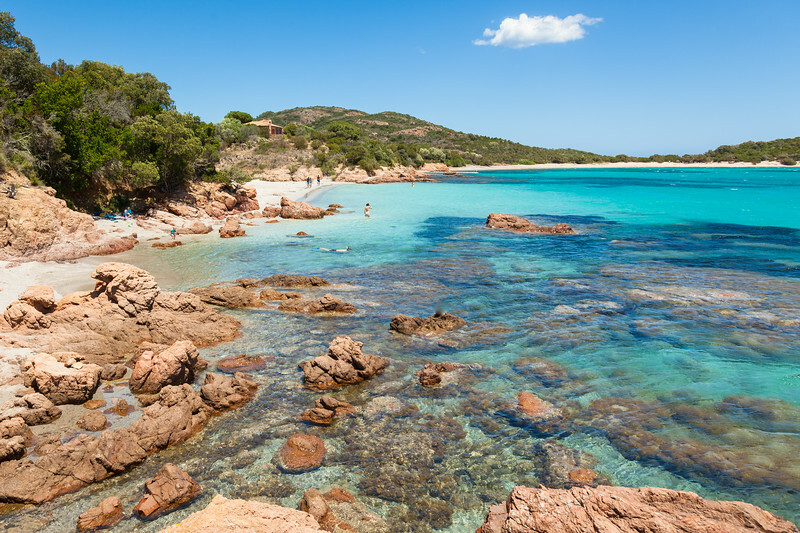 Rondinara Beach Corsica is considered one of the most beautiful bays in Europe. 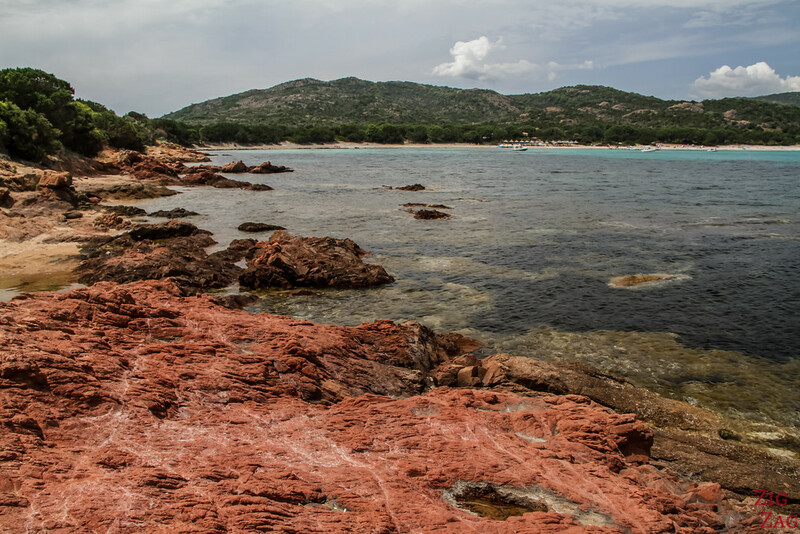 With a shell shape, it offers a mix of fine sand to relax and rocky areas to explore. Below is my guide with photos to plan your visit. This article may contain affiliate Links (info on the Disclosure page). If you purchase using my link, I get a commission at no extra cost to you. 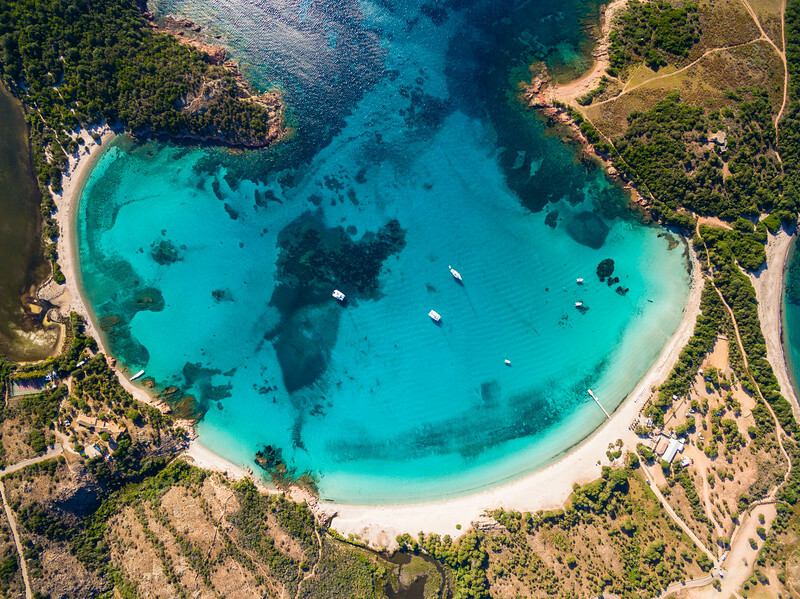 The Rondinara bay has become famous mainly because of its shape. As you can see on the photos from above below, it has a horseshoe shape (or a shell shape for a more dreamy description). Plus it is quite enclosed with the two headlands almost touching. So it creates a calmer beach. I normally don't post such photos because you can't see it for yourself. But I purchased the photo so that you could realise the amazing shape. As you drive down via the road going to the bay, you can appreciate it a little bit. The turquoise waters are alluring, aren't they? The other reason why Rondinara beach is a top place to go it because if offers a great mix of conditions. 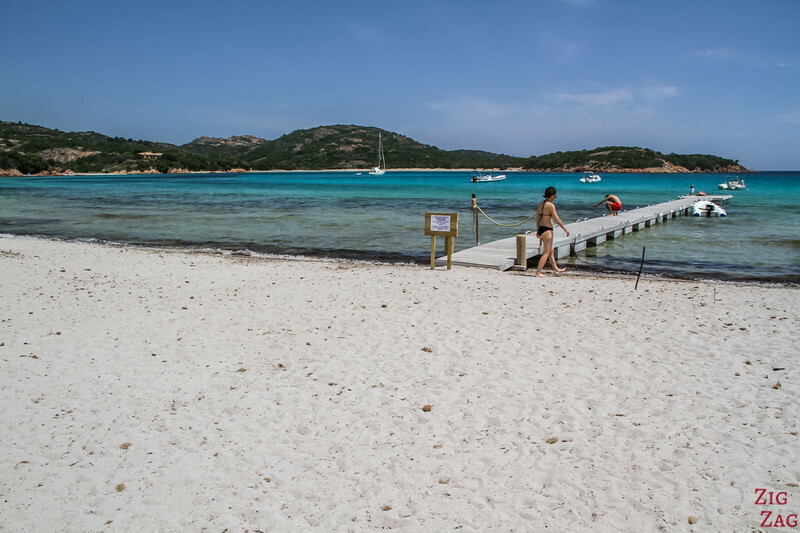 I included it in my list of the best beaches in Corsica. I love colorful rocks, so I personally went exploring one of the heads. More photos later in the article after the planning tips. The last 7km are off the main road T10 - the road is not in perfect condition. It is winding and narrow. But it is paved and, I think, large enough - no worries! Plus as you drive down, you get glimpse of what you are going to enjoy. So that is exciting! At the bottom, there is large carpark. Right by the beach there is a restaurant with views of the water. There are lots of tables but it can fill up very quickly. I really enjoyed my salad. The restaurant has bathroom facilities. 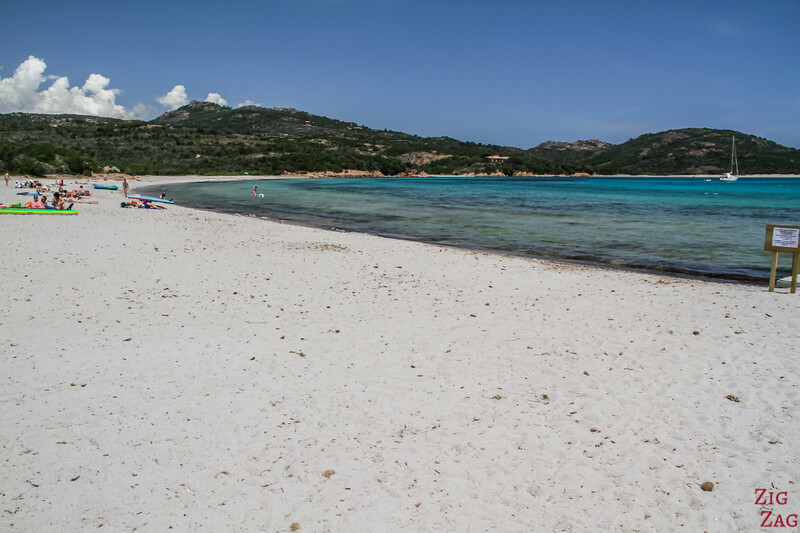 As you can see on the picture below, the sand of Rondinara Beach corsica is white. This is really sparkling agains the turquoise water. There is a pier in the middle that is great for photography. 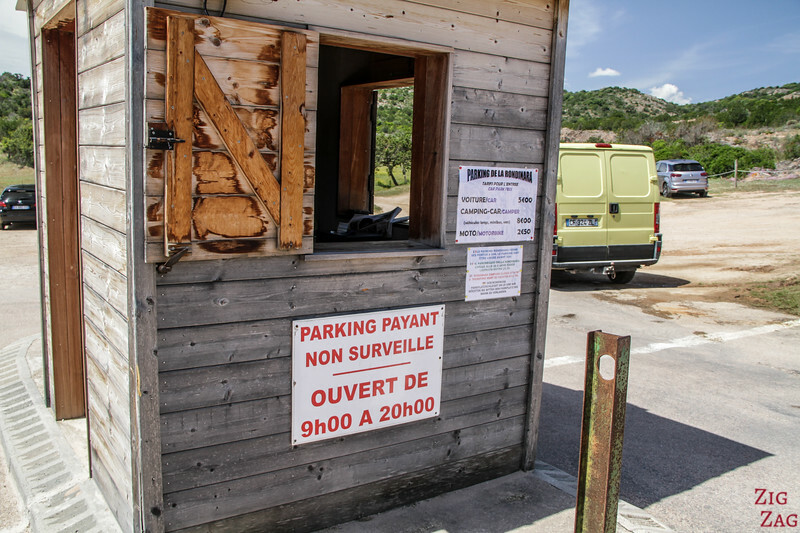 Access is allowed only to boat owners. This is not an area to play. 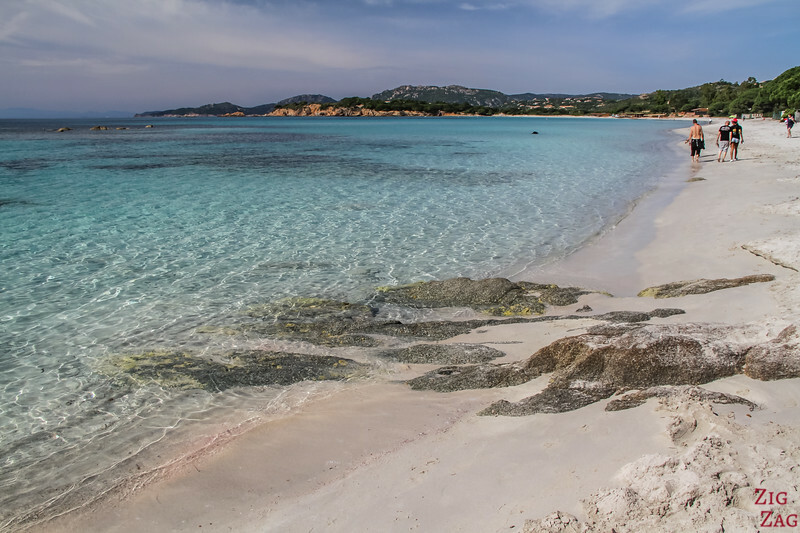 Contrary to other beaches in the area such as Palombaggia or Tamaricciu, the sand area is quite wide. So there is more space to settle. 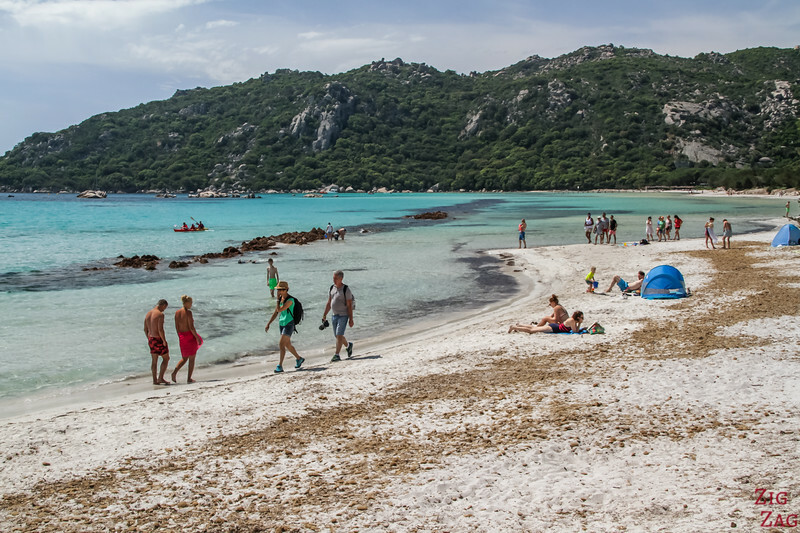 Unfortunately, like most of the beaches in South Corsica, it is overcrowded in Summer. But off season, as you can see below, it is really an idyllic environment. It is especially good for families with young children because the slope is gentle and the bay is calm. Note that the beach is susceptible to be partially covered with dead seaweed leaves (Posidonia leaves). The scenery is less like paradise then. But this process is really essential to protect and regenerate the beaches. That's why the leaves are not removed. If you love rock formations as much as me, I recommend taking the path on the right side (when facing the water). 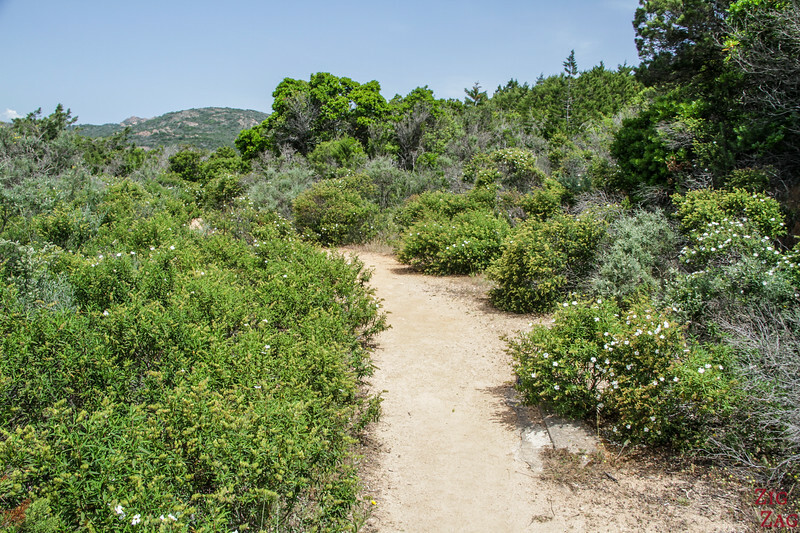 It is an easy walk in the maquis (low vegetation of the Mediterranean sea). 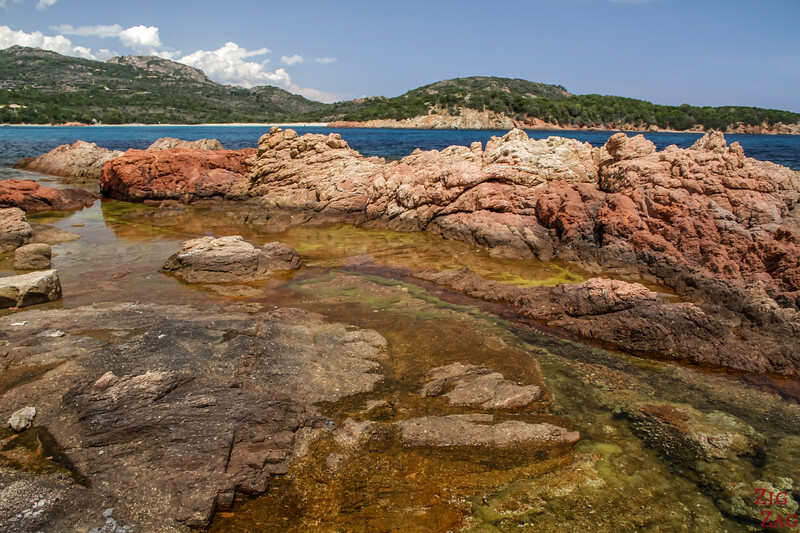 On the way you discover small coves with reddish rocks. And you can see the hills protecting Rondinara Beach. But my favorite is at the end of the path, when you reach the tip of the headland. There are rocks of every colors. Sometimes really red like you can see below. And sometimes a variation from white to brown with yellow and green in the water. This is quite fascinating and a great playground for photographers. You can also walk towards the North side of the beach (left when facing the water. There is no path. You walk on the beach and sometimes in the water. 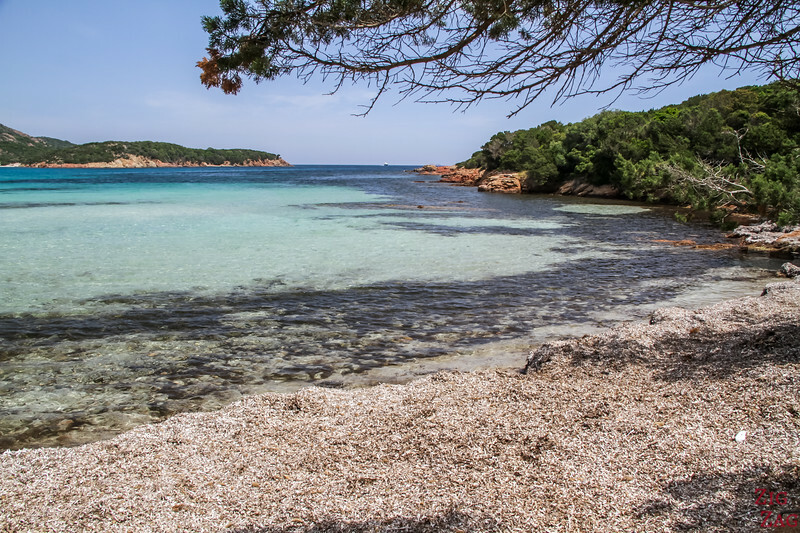 You can find smaller quieter coves. At one point you will have the beach and sea on one side and the Prisarella lagoon on the other. 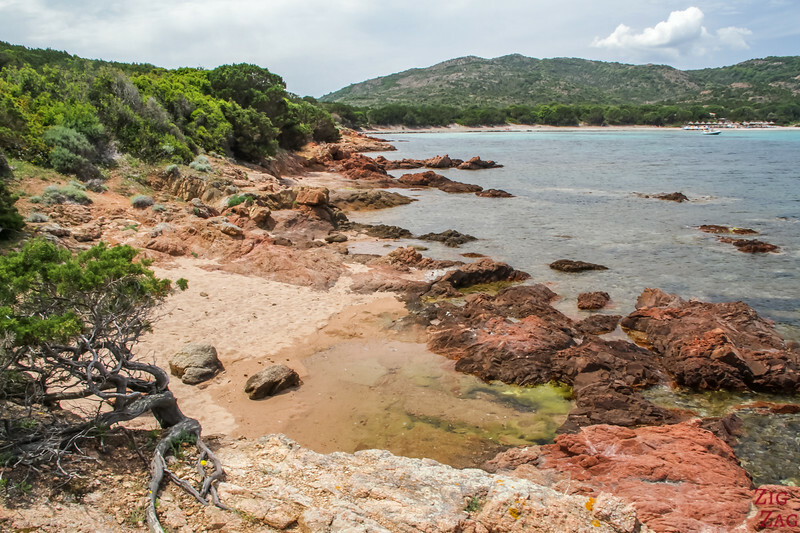 On the same south Coast of Corsica, you can find other famous and easily accessible beaches. Sadly they all get overcrowded in the heat of Summer. You can walk on the trail on the right side of the beach over the headland. You will find another sandy arch. However the sand is greyer and the waves much taller. 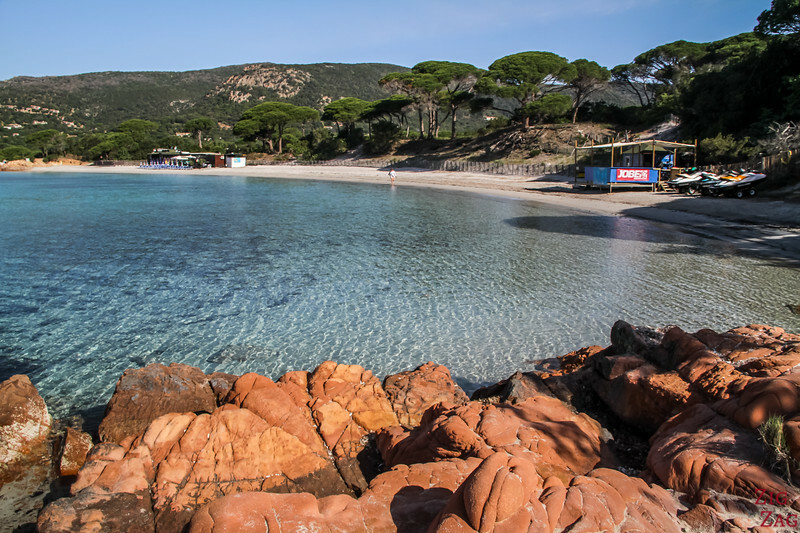 The most famous beach in the region is Palombaggia. It also has red rocks but I preferred those of Rondinara. It is also very crowded in Summer. 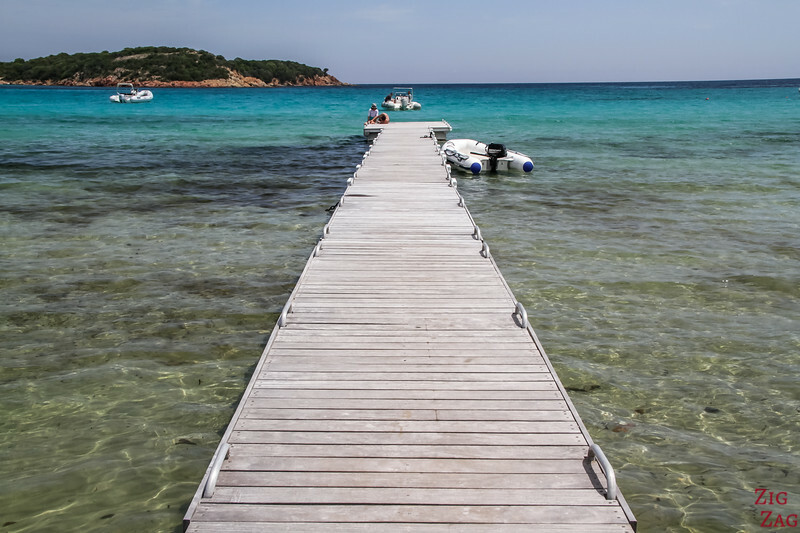 Tamaricciu is Palombaggia's neighboring beach. There is not as much parking but the beach is fabulous. It is famous for its cove on the left side (when facing the water) where you can find giant grey boulders and a lone pine tree. 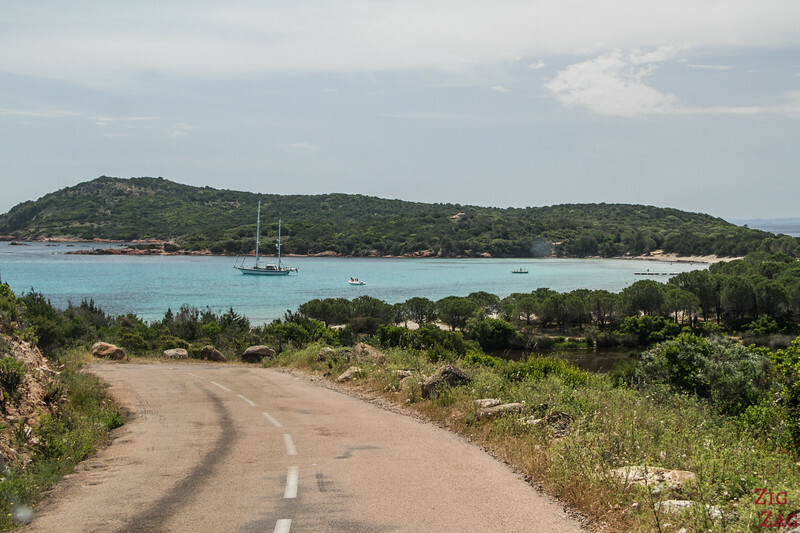 Santa Giulia is a great option for families too. It has all you need nearby and a huge parking close to the beach. 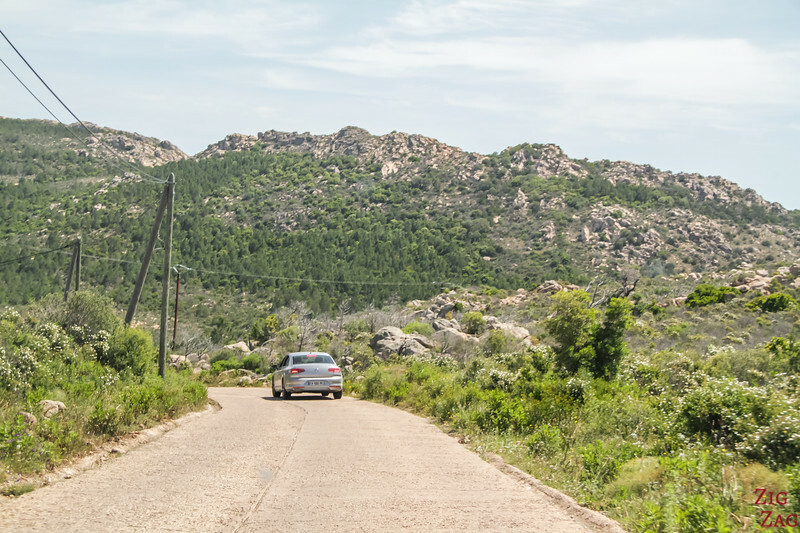 Want to see more of CORSICA? 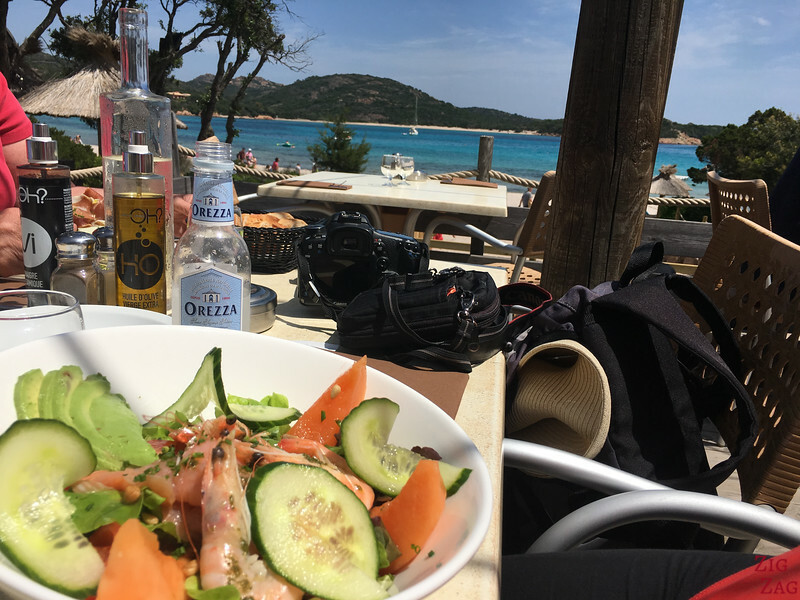 Things to do in the Gulf of Porto Corsica – Breathtaking Unesco sites!